Waltham Forest Council have been a long-standing Hornbill customer with an on-premise Supportworks deployment. Although the heavily customised solution worked for IT, the team needed to expand their service delivery beyond IT into HR and a number of other business support areas. The team decided to look at the market and choose a solution that would support their aspirations beyond IT and I am delighted they ultimately selected Hornbill Service Manager, a cloud-based Enterprise Service Management solution. I asked Simon Copesy, Head of IT Operations and Samantha Eaton, Business Analyst and Implementation Consultant if they would be kind enough to give us some insight around what they have been doing and how the solution has helped them achieve their goals. 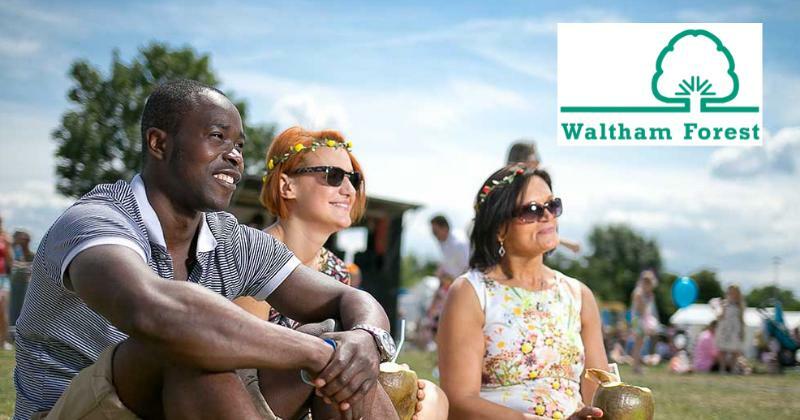 Can you give me a brief background of who you are and what your role is at London Borough of Waltham Forest? My name is Samantha Eaton, I am a transformation consultant supporting the Council's Business Hub in re-engineering their business processes. I have been carrying out detailed business process reviews and then building our forms and streamlined automated processes using the Hornbill Platform and Service Manager, project managing the implementation and roll-outs. I have also been training departmental super users on how to configure and build Progressive Capture Forms and automate Business Process across HR as well as various Business Support functions, and supporting all users post go live. What Service Desk tool was in place at London Borough of Waltham Forest before you deployed Hornbill Service Manager? and what were your reasons for change? Simon said: Hornbill Supportworks was deployed on-premise and had been substantially customised over the years, including integration with our intranet. Over time though, this resulted in functionality that fell out of use as our business processes changed and evolved, and expertise and knowledge around the Supportworks tool was not retained during changes in staff. As a direct result, over time the system became cumbersome, difficult to use and no longer supported the needs of our organisation. Supportworks had been in use for over 10 years at Waltham Forest but both Samantha and I have used other systems in previous roles. What stands out for both of us with Hornbill Service Manager is that the system is incredibly intuitive, very easy to implement and has a simple but powerful approach to configuring and automating business processes, not just for IT but any business service can be easily and simply automated and presented to our customers in an easily customised and modern service catalogue. We loved the simplicity of the User Interface, the innovative Progressive Capture function, and the ready-to-use functionality delivered right out-of-the-box. With minimal effort, we were impressed at the ease with which it could be customised without needing to attend a training course. The 30-day trial demonstrated Hornbill’s faith in their product and that gave us confidence and assurance to subscribe to the Hornbill service. What other solutions did you consider/shortlist before choosing Hornbill Service Manager? We looked at and considered most of the market leaders currently available under the UK Governments G-Gloud Platform. What was your impression of Hornbill as a company during the selection, procurement and implementation process? Very professional, friendly, approachable and interested in what we are doing. Always there to help and focussed on showing us exactly how Service Manager would benefit us instead of selling it. After rolling out Hornbill Service Manager, how has it gone since you went live? Samantha Eaton said: Initially some process owners were a little anxious despite having had lots of training and time to practice with the new tools before go-live. Once live I made sure that the teams were kept informed, trained and supported, especially for the first few months. Despite having signed off new processes before go-live, process owners very quickly started to identify a lot of further improvements that could be made once they saw their processes operating in the real-world scenarios which obviously meant the processes had to be tweaked. It’s been great to be empowered to make these changes ourselves and then publish the new versions, so they are live for our customers as soon as possible. No coding, no specialist technical skills or knowledge, just a graphic tool and some point and click configurations, the system allows us to baseline and publish our processes and roll-back should something not be right, all without downtime or impacting the service to our users. It is strange not having a test system though, and if you do not adopt the right workflow there are risks you could muck up something that is live if you publish a test process by mistake. 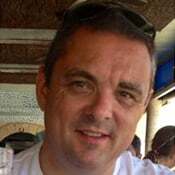 Simon Copsey said: This has been one of the most straight forward implementations of a Service Management and Business Process Platform I have ever been involved with. The single sign-on and intuitive interface really has helped our end users (customers) adopt the new service without any training. The Service Desk and other IT staff adapted quickly, and we have been able to easily implement intuitive processes for our customers which keeps them informed of status and progress but without overloading them with email updates. Reporting is straightforward and effective, and we have been able to retain and implement new KPIs. We have customer satisfaction surveys in place and have been able to present a unified service delivery experience to staff that presents a single point of contact not just for IT but for business services across the whole Council. You mentioned the use of Hornbill has expanded beyond IT, can you talk more about that? We are now working on getting a wide range of other paper-based forms automated in Hornbill for things such as the Leavers Process, Minute Taker Requests, Travel Bookings, Raise a Purchase Order, Job Evaluation Requests etc. etc. as well as looking at using the External Customer portal to publish New Starter questionnaires to be completed by our successful candidates prior to start date. So far, the business process capabilities of Hornbill coupled with the Service Catalogue has delivered everything we had hoped for. Can you pick three things that you love about Hornbill? Samantha Eaton said: "The ability to subscribe users at the service catalogue item level (this is on its way)"
Samantha Eaton said: I think that the On-Line Hornbill Community is a great resource and I’m really impressed at how quickly questions are responded to and how helpful and patient people are in helping me improve my knowledge. I’ve never experienced a product that has such a great support resource! Simon Copsey said: Service Manager manages to offer comprehensive ITSM functionality that you will actually use with a great interface that supports mobile working. We bought this system because it did everything we wanted and if we need to support something specific to our own business we can adapt it ourselves. Being a SaaS solution, our investment is sustainable and our costs transparent, it is very easy to understand and budget for and Hornbill offers Priced for Life, so we know we don’t need to look for a bigger budget every year to deal with price increases. In relation to your HR processes, what were you using before to automate your processes and how has Hornbill helped? We were using SAP in some instances but nothing else really, it was all very paper-based with a lot of manual processes, and largely driven by e-mail. Hornbill has really helped us streamline our processes, remove duplication of effort, eliminate paper and improve the experience for our customers. What are the top three HR processes you have automated using Hornbill that have helped your Digital Transformation efforts? What has been your end user adoption of Hornbill Service Catalogue for HR services been like? Samantha Eaton said: Managers across the board have embraced the new system and are using it lots. I’ve had some great feedback from managers saying how much better it is now, with one of them saying I’ve literally revolutionised the recruitment process so I think we can say that it’s been a great success! Waltham Forest Council are one of those forward looking organisations that has a vision and commitment for a Digital Workplace and they are on a mission to transform and modernise their working practices. The level of commitment to drive change and improve the efficiency of operations is really great to see. I am very glad that we at Hornbill are able to support Waltham Forest Council on their Digital Transformation journey both now and into the future. I would like to express my grattitude to both Simon and Samantha for sharing their insights with us.